Smith & Wesson Sigma Safety Glasses are designed with a contemporary combination of gunmetal-finish frames and stylish chrome temples. The soft foam pad along the brow line provides a snug, comfortable fit and helps keep sweat out of your eyes, while the lightweight design offers all-day comfort and protection. Every pair comes with a handy microfiber carrying pouch, which doubles as a cleaning cloth. These glasses provide 99.9% UVA / UVB / UVC protection and meet ANSI Z87.1+ standards for high impact. 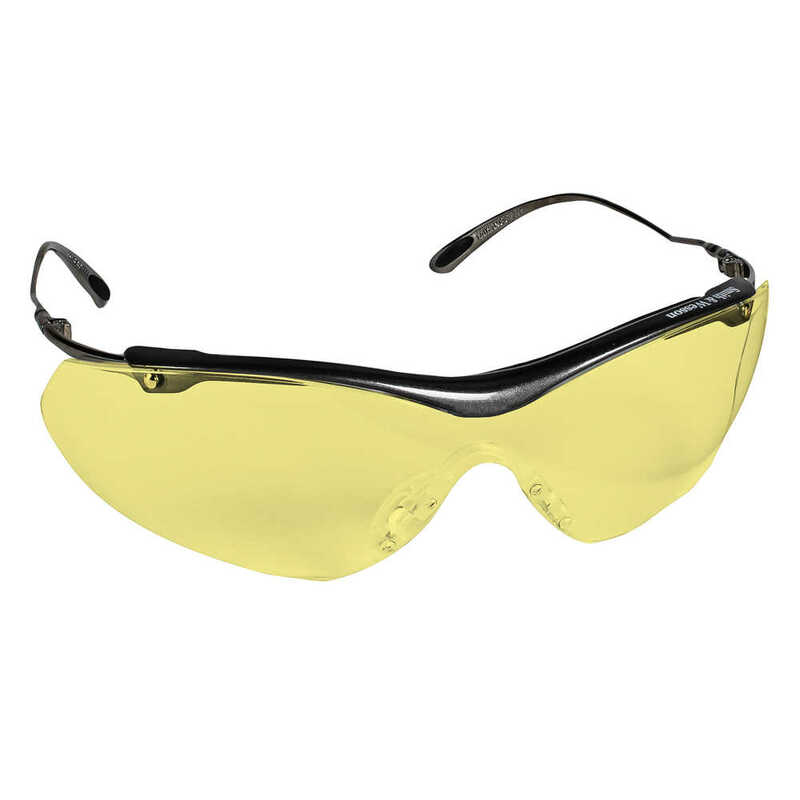 Whether you’re using them at work or at home, you can trust Smith & Wesson Sigma Safety Glasses, with Amber Lenses, to provide the comfort and protection you need.